The Italgi GR60 filled gnocchi machine produces potato dumplings (gnocchi) stuffed with almost any ingredient you like (cheese, vegetables, meat, mushroom, fish, etc). The GR60 is not an adaptation of any existing pasta machine; it is a patented project developed only for gnocchi, either plain or filled. The filled gnocchi machine is very simple to use and is easily cleaned, indeed all the parts in contact with the product can be quickly dismantled. 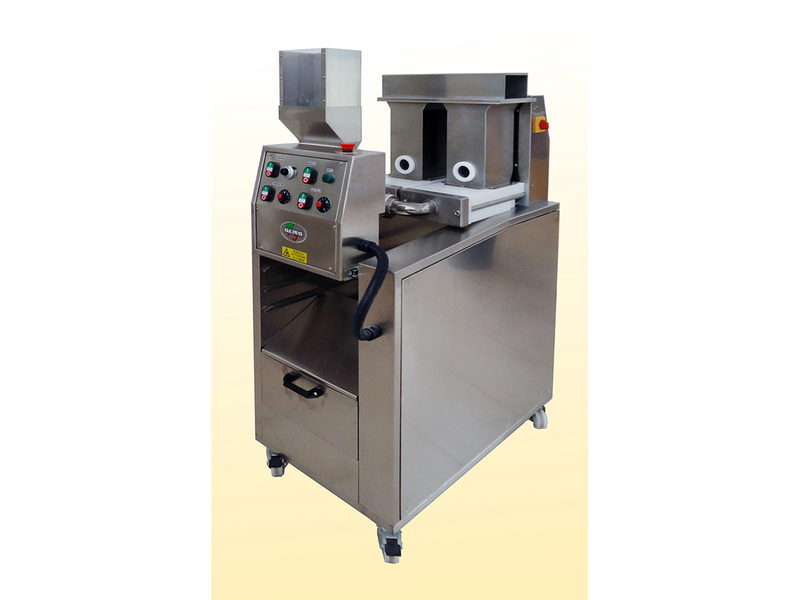 This stainless steel machine is compact and robust, with all plastic parts made of up-to-date food safe material. The cutting system ensures perfect sealing of the gnocchi. Size and dose of filling of the gnocchi can be easily regulated by means of the control panel. All potentially harmful parts of the machine have safety protections. The GR60 is available 240v single phase or 400v 3-phase. A plain gnocchi mould is available upon request as well as extruder outlets of different sizes.